It wouldn't be a spring engagement session without a stroll through the park. Gus and Nicole are an incredibly handsome couple with hearts of gold. I (Kim) have had the pleasure of knowing Nicole for a few years now and have seen her through a handful of life milestones. There has been no greater pleasure than seeing this girl in love. These two are sold out, committed, to one another and will have a guaranteed future of lifelong love and happiness. 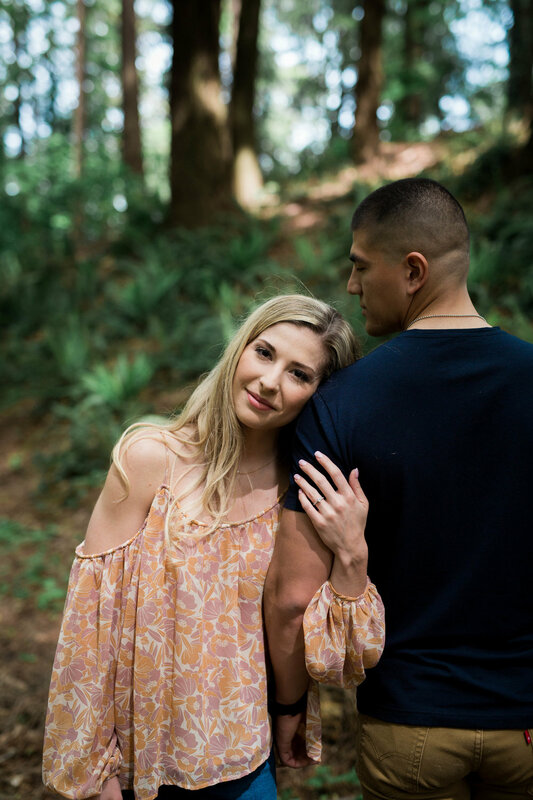 Nicole and Gus are currently long distance while Gus serves in the Marines based in Virginia while Nicole is in the Northwest working hard at career and fitness goals. Both of their determination and willpower is awe-inspiring. They are a perfect pair. Will and I are so thrilled to be a part of creating and documenting their story. Thank you for the opportunity to bear witness to such a beautiful partnership.